Are there many Maschine users here? It would be cool if we could share some tips, trick and advice etc. Really tempted to get into one of these soon to start learning how to make some little beats. Edit: The Mikro looks like cheap way to get started and hardware looks pretty nice! Oh yeah Maschine is very easy to use, esp with the Mk3 hardware with it's dual screens, so it is good for new starts. Since it's not a fully fledged DAW (like Logic, Cubase, Pro Tools etc), it isn't anywhere near as complicated as them which I know can be overwhelming. Ableton Live is more beginner friendly, but you want a dedicated controller so you'd have to get Push 2 if you went the Live route, which even second hand bundled with Live 10 is about £800. I recommend getting the Maschine Mk3 rather than the Micro Mk3 though, as having everything on the screens right beside your hands as you are playing/tweaking, along with the 8 pots for controlling the mixer/inserts etc is a much slicker and a more fun creative workflow than having to look up a monitor screen all the time, and there are various other buttons and functions missing on the Micro that make it less user friendly and slick to use. However, if you can't afford the Mk3 (which btw can be got for £350 with the software second hand rather than the retail £470), then getting the Micro Mk3 (which is £190 new, £160 second hand, with the Maschine 2 software of course), is still worth it, at least until you see how you get on. If you get one, let me know and i'll send over a link with some great tutorials videos to get you started. Ah ok cool, maybe I will go with the full MK3 then. For me, I feel like when I've tried playing with FL etc in the past it's just too intimidating not having any idea what I'm doing. I feel like with some hardware, I could at least play around with it and figure it out. 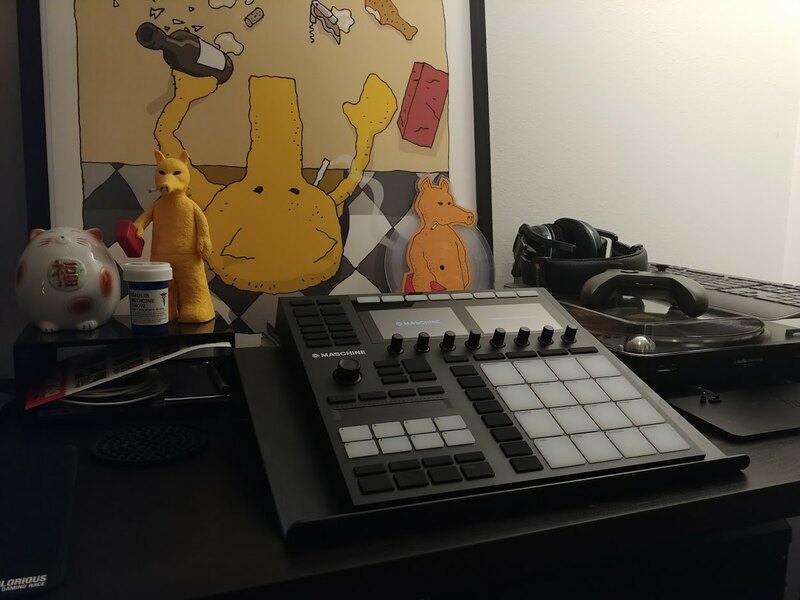 I never ended up getting an MPC because I'd probably want to mostly work with digital sources and having the software to back it up would be helpful like Maschine. Yeah FL isn't obvious from the outset. I've used DAWs for a long time and most are similar in how they work, but FL is a bit different and I remember trying it once and getting nowhere! It is however supposedly pretty easy once you know the basics. It's definitley still not as simple as Maschine though. Yeah using Maschine over an old standalone MPC is a no brainer workflow wise and if you are using digital sources rather than sampling from vinyl into it. Although Maschine supports that as well as the Mk3 has an audio interface built into it. Speaking of audio interfaces, if you don't have one, you will need one. The sound chip on your computer won't be up to the task. If you get a Mk3 then that solves that issue though. It's not the best of audio interfaces in it but it will suffice. You can always upgrade further down the line if you feel you want to. Oh sweet! That's a really nice price considering it's never been used. Nice one man. I'm sure many of us here are happy to offer support. Showed up in the mail today. Kinda bummed, I registered it to account but it doesn't seem like I get access to software instantly. Hopefully can start testing this thing out over the weekend. Thanks again B for helping with this! So I actually got the hardware to register on my account, is there a separate code needed for the software side? Contacted their support team for help, hopefully will have some time with this over the weekend. The main one is the first one, as that's the core Maschine 2 software. You should be able to install Native Access now, then login, then it will give you the option to download the Maschine software and libraries. Any issues, give me a shout man. In-case anyone were looking at this in the future, Native Instruments finally got me my software like 4 days later after registration lol.